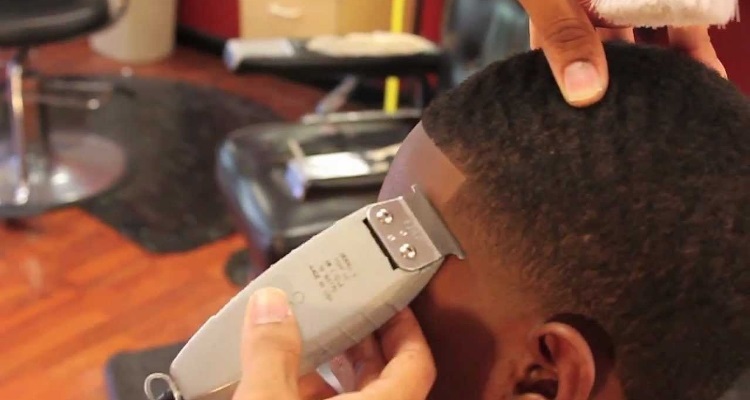 Best Edgers for Barbers: Top 5 Edgers Most Recommended for Professionals! 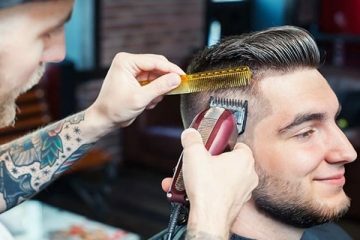 Being a men’s grooming professional such as barbers comes with various needs which requires different grooming tools to provide the customer their desired look. An edger is one of the most vital tools among them. Even the best barber can ruin one’s career whit a sub-standard edger and a rookie can build one by using the best edger. In today’s date a customer’s desired hairstyle is not limited to the barber’s will or ability. 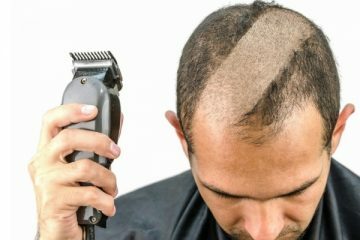 Now they simply go online and find their desired hairstyle and if the barber fails to bring up that look for lack of instrument then the customer will not hesitate to switch the barber. Customers know their choices for a great haircut and will not settle for anything less. While preference might vary from barber to barber, but the best overall edgers to make the flawless edge every time area must! Today we will review the five best edgers for barbers to guarantee performance above the competition. Wahl is considered as one of the best professional haircutting tools manufacturers that delivers state of art edgers for professional barbers. The 8148 from Wahl Professional 5-Star Cord/Cordless Magic Clip is designed for their commercial grade line of products. 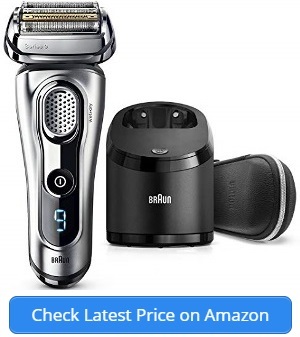 It is able to deliver sharp performance which is desired by grooming professionals with the choice of turning it into a cordless clipper. It performs with greater speed and comfort as well as providing great precision with no overlap between blades. For comfortable fading and blending it also comes with a taper lever. It’s lithium ion delivers more than one and half hour cordless run time from one time charging. The 5-Star Cord/Cordless Magic Clip is 6.25 inches in length and weighs 10 ounces, which is easy to grip and comfortable to handle. The 5-Star Cordless Magic Clip comes all the required tools and accessories that a grooming professional would need for providing smooth and flawless haircuts. You will find the clipper, 8 easy attachable combs, lubricant, a brush for cleaning, instruction manuals, blade protector and the recharging unit. 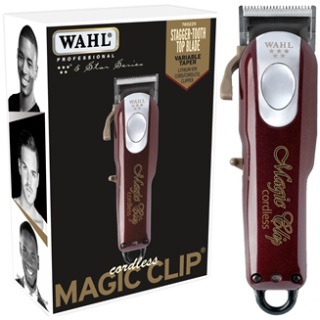 Wahl has always been renowned for great hairstyling instruments, and Professional 5-Star Cord/Cordless Magic Clip has also been able to live up their name. It provides great precision, comfort and durability which essential for the barbers for smooth operation. It has a quitter motor compare to other edgers in the market, therefore the barber can continue a conversation with the customer or just take joy of the silence. It’s shape and size provides a comfortable grip for delivering better precision and the lightweight would allow the barbers to continue day long without getting their hands tired or sore. 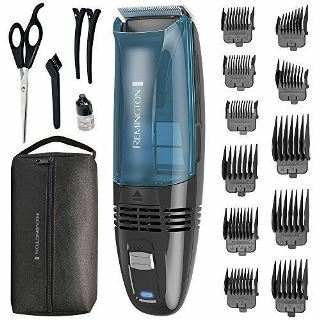 Professional 5-Star Cord/Cordless Magic clipper has a taper lever that allows easy fading and blending. Also the 8 attachment comb allows the barber to cut the hair in various different lengths. For comfortable cleaning and flexibility, this edger comes with a kit that has cleaning brush, lubricant and blade protection cover. As it is a heavy duty commercial grade edger you should keep the blade under thorough lubrication to reduce friction and clean in a regular basis. Also this edger is designed for dry shave, therefore you should avoid to use it for wet shaving. Please read the instruction manuals properly and use accordingly to get best performance. Andis Professional T-Outliner is claimed to be one of the top line professional clippers designed to get the task done with ultimate precision and flawlessness. It’s powerful high speed motor operates cool and calm delivering a delightful haircutting experience. It is fitted with a close edging T-Blade provides a perfect blending, outlining and fading. It has a length of only 5.2 inches which easily fits in any hand and very comfortable to grip. Andis Professional T-Outliner weighs 11.5 ounces which is a little heavier than other edgers in the market but its smaller size makes up for that. It has an 8 feet long cord that allows the barber plenty of flexibility to roam around. The single speed magnetic motor can run on 7200 SPM speed with cool and quiet manner ensuring the comfortability of your customer. It has a low electricity consumption; the voltage is 120V/60 Hz. The blades are made with best quality carbon-steel for providing better sharpness and durability. 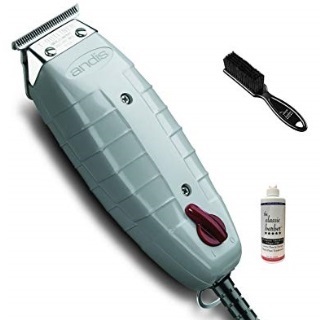 The Andis Professional T-Outliner performs flawlessly in blending and fading and is suitable for edging necks, beards, mustaches and around ears. As the blade of Andis Professional T-Outliner is made of carbon-steel blade provides great reliability and durability while delivering a close and comfortable haircut. It’s T-Outliner blade is capable of creating tight curves and tough shapes with a clean, smooth line. The multipurpose flexibility of T-Outliner blade is suitable for both quick touch up as well a full haircut all day long. It’s 8 feet long cord provides flexibility to roam around easily to deliver the desired look to the customer. Also it’s easy to grip size fits really easily inside the hand and lightweight build makes it easy to maneuver without getting the hand tired. Andis Professional T-Outliner has a magnetic motor runs on less voltage saving you the electricity bill. Also it creates less noise and vibration, therefore making the edger quiet and less irritation for the customer. Andis Professional T-Outliner is a fixed cord edger; so it would not allow if you are looking for the freedom of going cordless. Also it is suitable for dry shaving and therefore it is best to avoid wet shaving. Please read the instructions properly before using if you are new to Andis Professional T-Outliner. If you are looking for an edger that gives you the liberty of performing both dry and wet shave in a single edger, then OSTER Fast Feed Adjustable Pivot Motor Clipper would be just the right choice for you. It has a powerful but whisper quite pivot motor consisting of steel blade that provide close cutting around the neck, mustaches and behind the ears. Blade in this edger in adjustable between the size 000 and 1. It has a commercial grade ergonomic design and a texturized grip for maximum control and maneuverability for day long hair cutting with comfort. It weighs 1 pound which feel full and strong in the hand, that provides better control. OSTER Fast Feed Adjustable Pivot Motor Clipper has an 8 feet long power cord to provide enough flexibility to roam around the customer comfortably. It comes with 4 guide combs, one for blending and other three for different sizes of hair. These allows the barbers for easy fading and blending behind the neck and around the ears and deliver the desired look for the customers. You would also get blade guard, lubrication and cleaning brush inside the box. 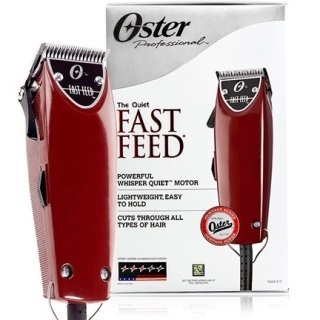 OSTER Fast Feed Adjustable Pivot Motor Clipper is one of the rare commercial grade edgers which can be used for both dry and wet shaving. You would be able to provide smooth and flawless haircut one after another with ultimate precision without have to changing the edger. It has a sleek design with an adjustable blade clipper and powerful pivot motor which is whisper quiet. This will reduce noise and increase your productivity. It’s blade can be adjusted between the size of 000 and 1, to provide haircutting comfort and flexibility. It’s attachable guiding combs allows easy fading and blending to bring out the desired look of the customers. Oster’s Whisper-Quiet pivot motor is two times powerful and ultra-durable than a magnetic motor edger that provides smoother haircut and lasts longer. Compare to others OSTER Fast Feed Adjustable Pivot Motor Clipper is a little heavier, therefore you should check the weight if you are looking for something lightweight. Also it is a fixed cord edger. Keep the blade oiled and use the blade guard for better durability. 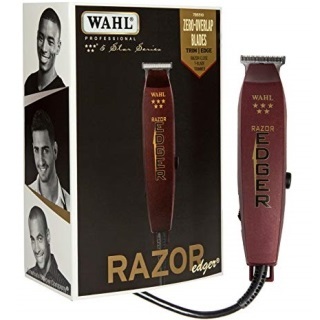 The 5-Star Razor Edger #8051 is one of the best edgers from Wahl Professional’s commercial grade product lines and is purpose built for professional use which delivers cutting edge performance in hairstyling. It has been designed with the intention of delivering best trimming and edging abilities with ultimate precision. It’s heat resistance technology does not allows to build up the heat even if it is running for a long time. It has a powerful yet quite electromagnetic motor that reduces noise and vibrations. This would allow you to carry on a conversation with the customer or enjoy a moment of silence if the customer desires. The 5-Star Razor Edger (#8051) has a handy length of only 6.25 inches which would fit into your hand very comfortably. You would be able to deliver haircut one after another without getting your hand sore as result of its lightweight; only 9.3 ounces. This sleek and ergonomic shaped edger consumes 120 volts/60 hertz for powering the electromagnetic motor that operates a 1060-600 blade. It comes with a commercial grade and chemical proof 8 feet long power cord. You would find the all the required accessories for a smooth and efficient haircut inside the box. The box includes a set of pro tools, (3) T-blade protector, blade lubricant, cleaning brush, red blade guard and user instruction manual. The Wahl Professional’s 5-Star Razor Edger #8051 is one of the best options if you are looking for accuracy in trimming and edging, this edger is a very handy edger that delivers razor-close cuts. It’s heal elimination technology delivers irritation-free operation on the skin and ergonomic shape design allows better maneuverability to bring out the desired look for the customers. The noise cancelling electromagnetic motor provides a cool and calm haircut. As a natural commercial grade edger it runs effortlessly for year providing flawless edges around the neck region, behind the ears. The pro kit works perfectly for fading and blending. It’s smaller size makes it so easy to handle by allowing grater maneuverability and lightweight keeps your hand not getting cramps or sore. You would get a manufacturer’s warranty with this product. You should oil the blade while using this edger for the first time and on a regular basis afterwards. You should avoid using this edger for facial hair. You would not be able to avail warranty if it’s purchased from unauthorized dealers. If you want to perform haircuts without being worried of cleaning the hairs from the floor every time, the Remington HC6550 is the best choice for you. It will deliver the ultimate haircuts without the messy cleanup. This edger is fitted with a strong vacuum that keeps the trimmed hairs falling on the floor. It has titanium coated blades that provides ultimate sharpness and durability. With Remington HC6550 you would have the option of going cordless and freedom to roam around the customers to deliver the desired haircut. This edger has a lithium battery inside that will keep you running more than an hour with a single charge. There is a charging indicator to tell the remaining charge of the battery. It is 9.9 inches long and weighs 1.6 lbs. It comes with an 18-piece kit to deliver more customized hair style with precision. This 18-piece kit comes with a set of 9-piece adjustable combs from 1.5 mm to 25 mm in size. It also has barber’s scissor, blade lubricant, holding clips, blade guard, cleaning brush and zip-up storage pouch to keep all the accessories inside. The Remington HC6550 is very easy to clean, you can use the cleaning brush to clear away hair on the blade and afterwards wash the blades under running water for fast cleanup. The self-cleaning vacuum will make sure the trimmed hairs are caught in the attached bin for ease of disposal allowing you to spend less time for cleaning. The titanium coated blade delivers a sharp and smooth haircutting experience powered by a quiet motor. Also the titanium coating provides durability that makes the edger to deliver flawless haircut one after another. The Remington HC6550 comes with an 18-Piece Kit that includes all the accessories you would require to provide a proper haircut with accuracy; length adjustable and tapered combs, barber scissors, blade lubricant and cleaning tools. The unconventional chemistry of lithium powered battery delivers at least an hour of runtime after a single charge. It is one of those rare edgers that can be washed with water. It also comes with an extended warranty of 2 years. Dispose the attached bin on a regular basis to ensure the vacuum’s smooth operation. Oil the blade every time it is rinsed under water to ensure durability. First time users please read the instruction manual before using. 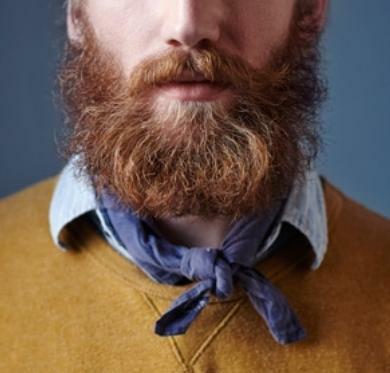 Over the past decade the grooming of men has advanced quite a bit. Now men don’t just desire for look they also demand the comfort and accuracy. The advancement of technology and social media influence, has increased the demand of more advance tools to be used by the barbers in hairstyling industry. To keep up with that demand the barbers must choose just the right edger for delivering satisfying hairstyle every time. Each barber must consider few facts prior choosing the best suited edger for their regular use which would deliver accuracy, reliability and durability. Durability would be the major factor when you would be performing haircuts several times a day on daily basis. Also a barber needs to make sure that his/her hands would not get tired or sore during haircuts while working long shifts. And most of all, the best edger must be able to provide the best edges with ultimate precision. Preference may differ from barber to barber, but below are the facts all barbers should consider before choosing the best overall edger to create the perfect edge every time. Precision is the most important factor while choosing the best edgers for barbers for creating the best edges during a haircut. Barbers cannot bring out the look that the customer desires without delivering the perfect edges around the ears and behind the neck. Also precision is required for perfect fading and blending. If the edger does not fit comfortably in your hand, then it would be difficult to make maneuvers while giving a haircut. To deliver comfortable haircut one after another, you must require edgers that easy to grip as well lightweight. These features would allow you to perform flawless haircuts effortlessly all day long without getting your hands tired or sore. A better motor inside an edger will take you a long way. It ensures durability of an edger as well as the speed ensures better cut through during haircuts. The electromagnetic motors are more durable and generates less nice and vibration. This allows the barber to perform irritation free haircut as well as carry on a conversation with the customers. An edger can only deliver its best performance when its blade is top quality. Now-a-days barbers will have the liberty of even choosing metal type of blade to their edgers. They can have carbon steel or titanium coated blade instead settling down for low grade steel. Zero-gapping feature in an edger as it ensures the close alignment between the threads of the blade so that the gap among the threads is low that provides better precision. As an edger provides the final touch to the haircut, therefore it is considered one of the most vital instruments for a haircut. Customers feel more confident with a great haircut and will be a regular to barber who can deliver their desired look; and barbers need the right tools to deliver a great haircut. While choosing the right edgers the barber should keep a few stuffs in their mind. As they are performing several haircuts a day on a daily basis they must look for durability. Also the shape, grip and weight so their hands don’t get tired or sore. And last but not the least, the best edger needs to deliver the best edges. Haircut is one of the few essentials that everyone needs on a regular basis. Most of the customers build a friendly relation and faith with their barber. A good looking haircut could provide them a confident look at any scenario, such as impressing someone special to nailing a job interview. The barber must possess the required tools for providing the hottest new hairstyles that the customer desires. 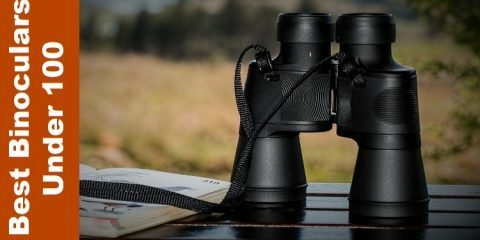 A satisfied customer’s review and reference can become the best marketing tool to improve your brand. Only the best edgers for barbers would support you create a customer base and a good reputation that you require to grow your business. Having the best edger and keeping a good knowledge of its usability is a necessity for any barber.